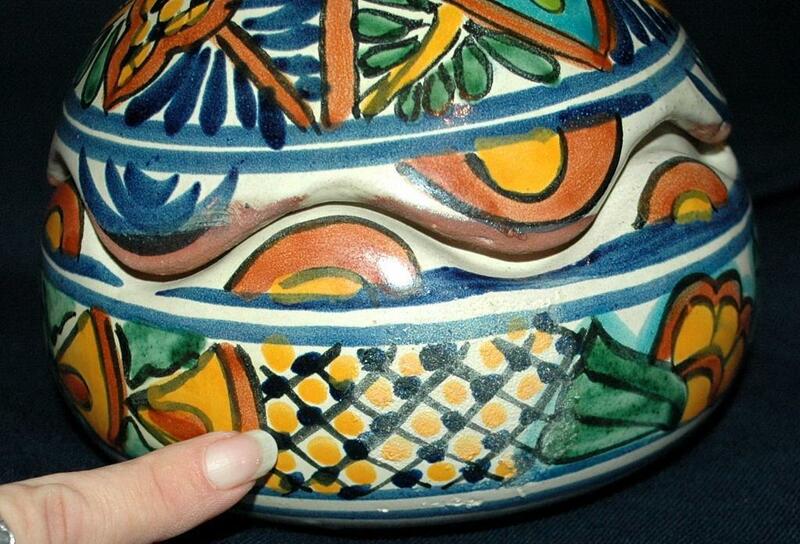 Very Old Talavera Lidded Bowl with Scalloped Edges . 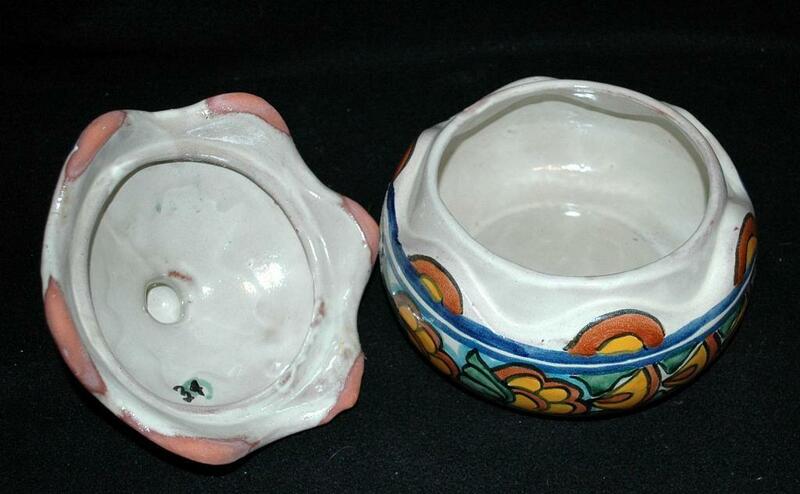 As you can see the lid and the bowl are both scalloped and match to make a perfect fit. 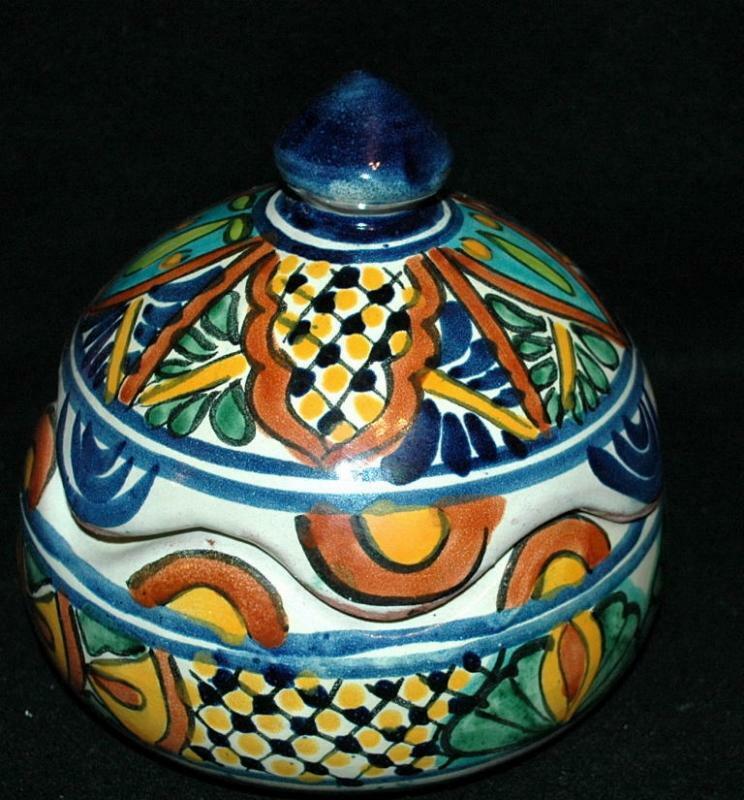 It measures 8" tall including the finial of the lid. 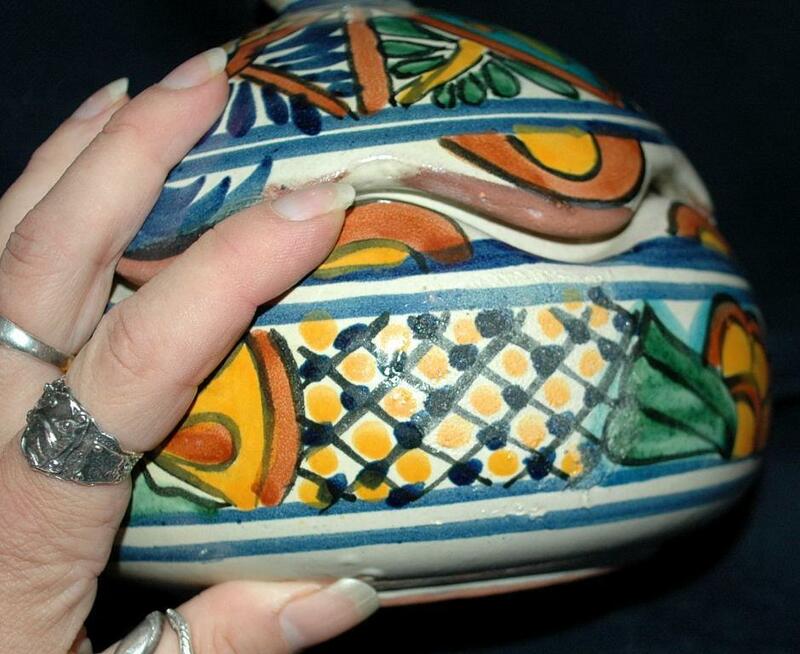 Red clay is used and the piece is hand formed and very thick. This is a rather rustic piece and there are few imperfections. 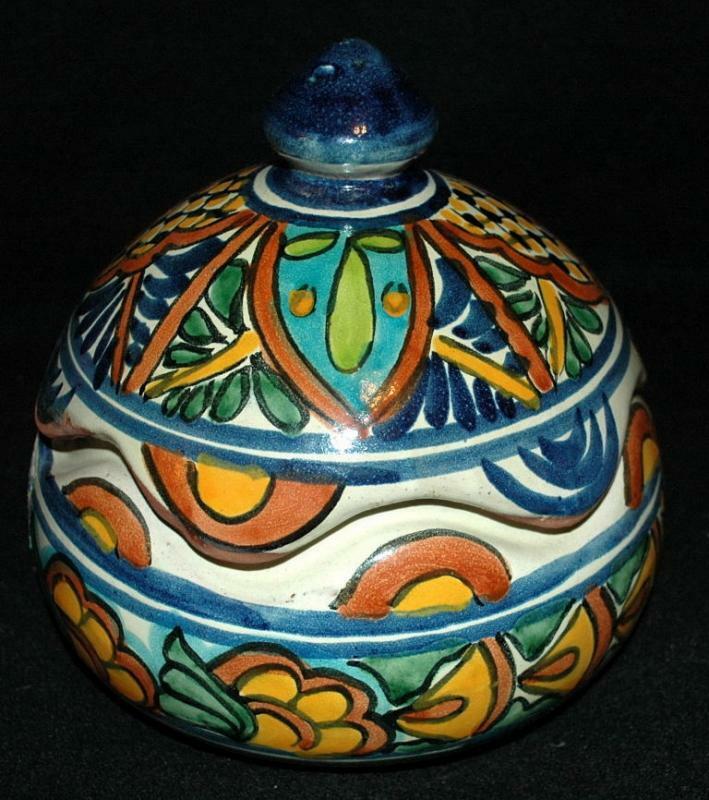 However this is common with the hand made, home made talavera pottery of old Mexico. For starters there are areas of missing paint, a few pit marks, inconsistent layer of paint and glaze . 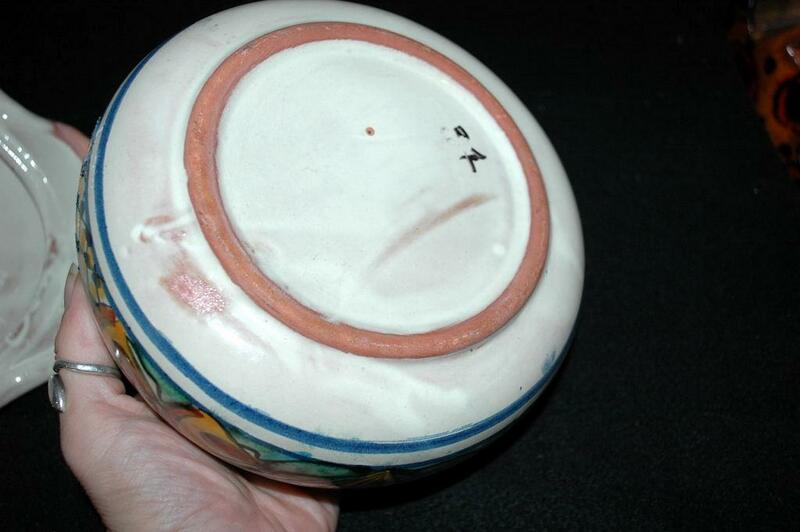 on the lower portion of the bowl I notice an area were the final coating of glaze is gone however the painted decoration is intact. The surface is rough in this area. 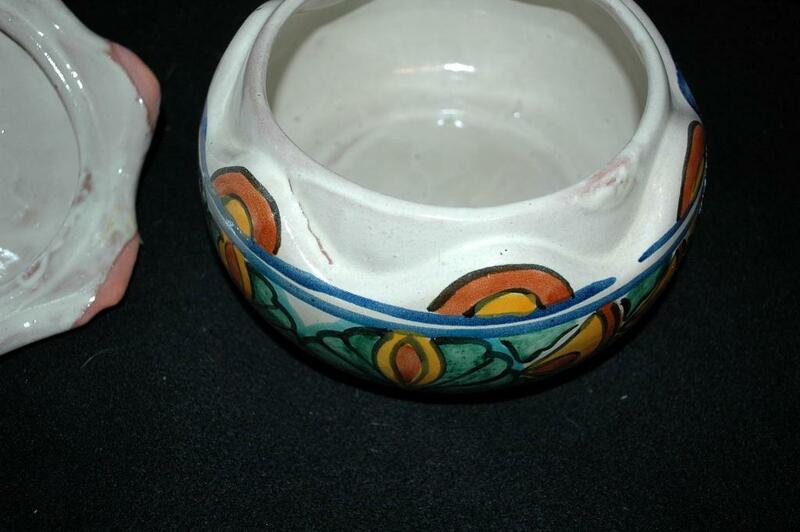 It is as it the piece was set too close to heat that was too hot and changed the smooth surface or melted it away. 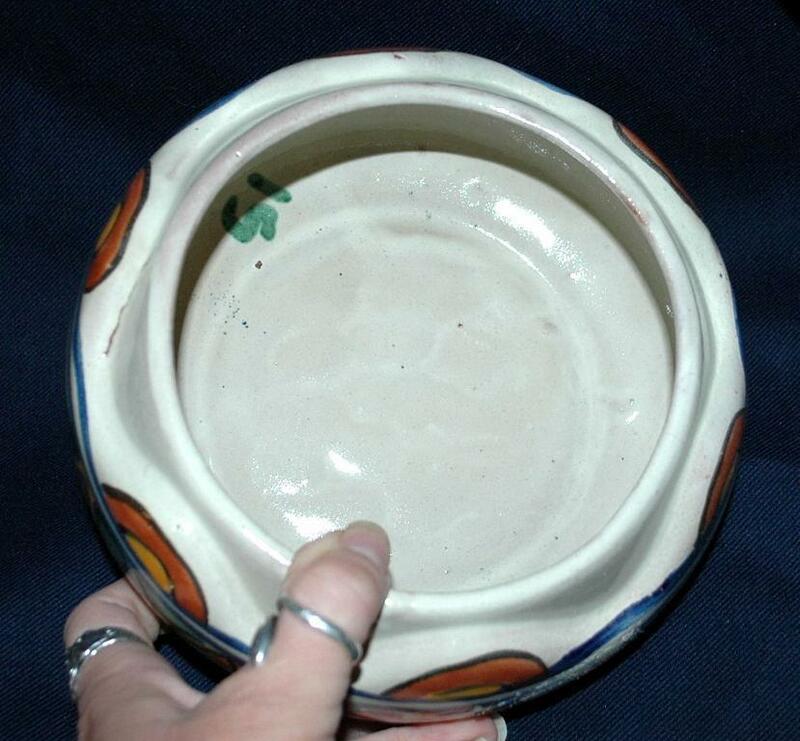 Or an adhesive changed to characteristics of the glaze. I would imagine that this would be repairable. But it is probably fine to no do anything .